Ochsner Transplant Nephrology Fellowship program is an opportunity to learn at one of the busiest and most successful kidney transplant centers in the country. Certified by the ASN/AST Credentialing program in July 2016, this one-year program meets all United Network of Organ Sharing (UNOS) requirements. The Ochsner Multi-Organ Transplant Institute is the largest transplant center in the region. In 2015, we performed 143 kidney transplants and 21 combined kidney / pancreas transplants, becoming the third largest combined kidney and pancreas transplant program by volume in the nation. Here you will be exposed to a great variety of different pathologies. You will work side-by-side with physicians passionate not only about patient care but about teaching. 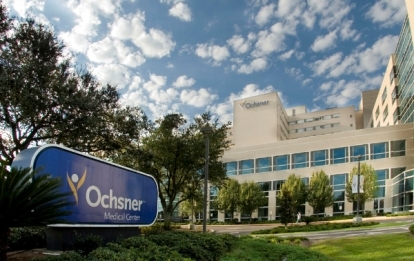 Ochsner is the third largest combined kidney and pancreas transplant program by volume in the nation. Along with four transplant nephrologists, Ochsner is home to nine transplant surgeons, more than 15 transplant coordinators, a tissue typing laboratory and a world-renowned renal pathologist. Our program is large enough to give you the exposure you need but not so large that you won’t get personal attention. Assessing and managing allograft recipients from pre-transplant evaluation to transplant surgery and outpatient follow up. Participate in the care of multi-organ transplant recipients. Performing allograft biopsies and follow-up in our out-patient clinic. Ochsner kidney transplant surgery outcomes are better than the national average. This is your chance to learn from the best at one of the most reputable kidney transplant hospitals in the country. To find out more about our program and to apply, email us. Applications accepted throughout the year in advance of the next year’s program.